We know dragons don't exist. Or do they? What if, unbeknown to us, they are thriving on a distant island where no human has ever set foot? They live happily within their own kind and do not venture out into the outside world. In this scene, we see a family of these dragons playing together in their pristine natural habitat — far, far removed from the claustrophobic and polluted world of humans. The idea of dragons in the wild, powerful and completely free, has always fascinated me. 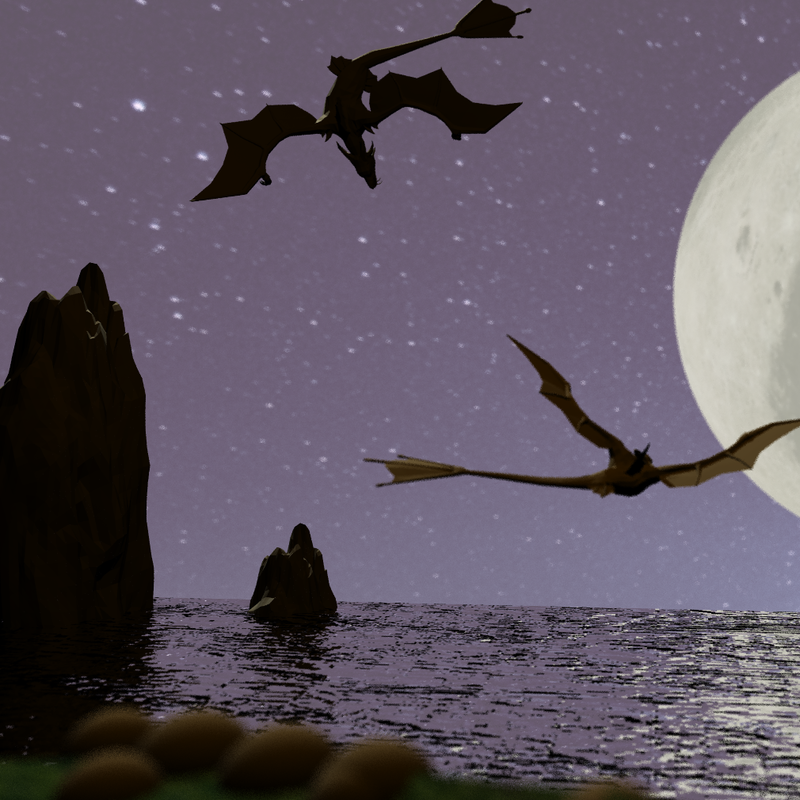 So I decided to build this scene, inspired by a shot from the movie series "How to Train Your Dragon", to capture my imagination. I got the model of the dragon from Blendswap and that of the cliff from Turbosquid. 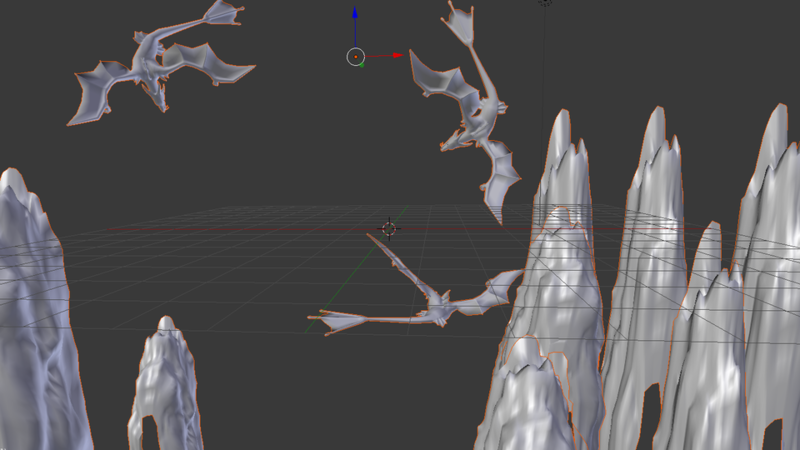 I duplicated the dragon model into three using Blender and adjusted them until I was satisfied with their positions on the scene. I put together the dragons and the cliff and after some more adjustments I finally got the model I was opting for. My model has 29664 faces. It is loaded as a .obj file and I have used BVH to intersect the model. Glass material. The water surface is a glass material both refracting and reflecting light. Lambertian and Combined materials. 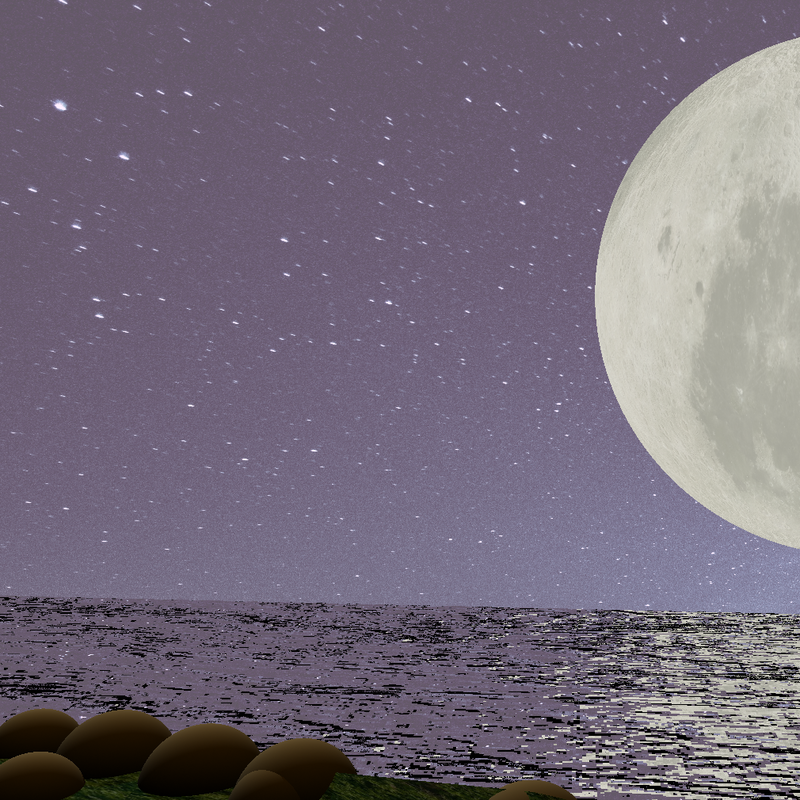 The sky and the moon are combined materials with an image texture and a Lambertian material emitting some amount of light to give the scene a soft glowing effect. The grassy patch in front is also a combined material with a grassy texture and a Lambertian material reflecting green color. It has some smooth rocks on it which are also Lambertian materials. Triangular mapping. It has been applied on the grassy patch, the sea, and the sky. Spherical mapping. 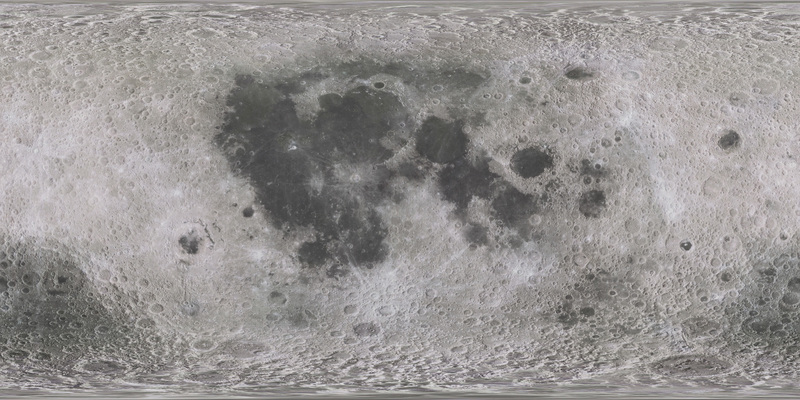 The texture mapping on the moon is spherical. Bump mapping. I used a bump map on the water surface to give me the desired ripple effect. Point Light. Two point lights are used in the scene to give an indirect lighting effect on the dragons. Area Light. A small area light has been cast on the scene from behind the camera, to get the desired silhouette effect on the dragons. I added a slight depth of field effect, to focus on the dragons and blur the grassy patch at the front of the scene. The scene was rendered in an i5 8th generation 1.60GHz processor using stochastic sampling with 200 samples per pixel. Models were used for the dragons and the cliffs. Other parts of the scene were built using solids. Small: 480 × 270, took 17m 46s. Full: 1920 × 1080, took 4h 51m 10s.